I blame Shadow for this! 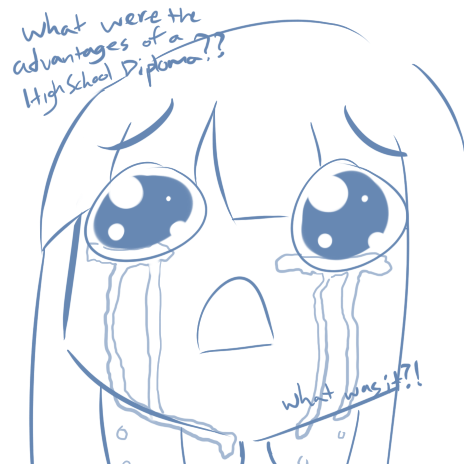 but how will people know what the advantages of a high school diploma??? what did the mystery person say!? oh no, it was just a spammer that made this thread... I never deleted it..